Originally developed by scientists during World War II while looking for a replacement for oil, they discovered a lubricant compound able to reduce fuel and oil consumption while, at the same time, preserve metal by delaying the onset of metal fatigue, and increasing engine life spans. Nitro 9 products were created to get the most out of what is remaining. Nitro 9 fuel additives create a new efficiency out of existing fuel products. Nitro 9 oil additives extend the life of the oil and equipment two to three times longer than commonly experienced. Its for this reason the major oil companies purchased our lubricants for more than four decades. Experience the benefits yourself: Reduction of downtime in oil and gas production equipment is the reason our oil and fuel treatments were born. It is not the $150,000 cost to overhaul a diesel engine compressor that hurts so much. It is the $1,000,000 loss in revenue when the system is down. Even though we've saved our customers as much as 25.8% in energy costs with our products, downtime revenue loss is still a very critical area of cost followed by maintenance, labor, and parts. Our experience tells us we can reduce these costs by 60% and cut replacement costs in half. In an 87,000 hour test we have documented a life extension of equipment from 2 to 3 times. Oil and Gas producers purchased Nitro 9 fuel and oil conditioners when fuel was 16¢ a gallon. The quality of fuel has fluctuated since then, and maintenance costs are out of sight. The cost of fuel, in a short time, will be much higher. Your equipment and downtime costs may not be as high as our other customers, but let us offer the advantage of preserving and protecting your expensive equipment. 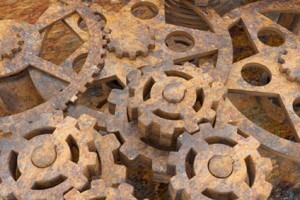 We can analyze equipment problems and tailor a maintenance program for you. When you purchase these fine Nitro 9 products we know that you will save more money than you spend. Routine maintenance and annual inspections should be enough, but every hardworking car engine deserves an extra edge. Automotive fuel additives and fuel injector cleaners are staples at auto supply stores because they make a real difference in improved performance and extended mechanical life. 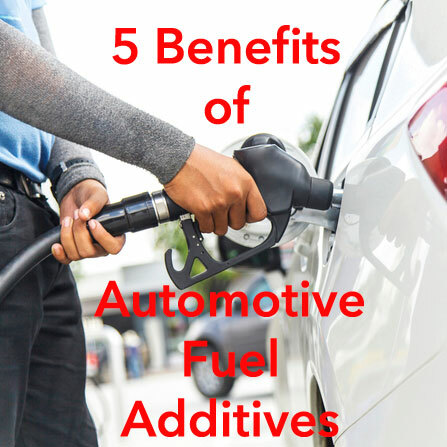 Here are five benefits your engine enjoys when you treat it to the right ingredients. 1. Better Engine Starts - Quality fuel additives and injector cleaners contain special undersurface lubricant compounds that fight carbon buildup on cylinders, rings and valves. That increases cylinder head compression, so your engine turns over faster and cleaner even with early morning startups. 2. Reduced Exhaust and Emissions - If a cloud trail from the tail pipe follows you down the road, it's a sure sign of deposits in the engine's combustion chambers. Lubricant additives and cleaners reduce carbon buildup, and that helps clear the air and put a stop to the smoke signals. 3. Improved Performance and Acceleration - Dirty plugs and carbon deposits take a toll on performance that you can feel on the highway. A good fuel additive combined with an injector cleaner solves the problem of incomplete combustion and keeps you in the rush-hour fast lane. 4. Money Saved on Repairs - Lubricant additives and fuel injector cleaners can't keep your car out of the shop, but they significantly reduce the metal fatigue that wears out engine parts. That cuts down on mechanical failure, so you can spend more hard-earned cash on road trips instead of repair bills. 5. Cash Savings at the Pump - While improved mileage is a definite money-saving benefit of fuel additives and cleaners, don't forget your options at the pump. Gasoline qualities vary, but you can avoid filling up with expensive higher octane fuel. Additives allow your car's engine to perform just as well or better on lower octanes. You don't have to be a master mechanic to appreciate the benefits of automobile fuel additives and injector cleaners. They're readily available and easy to use, and they're an inexpensive addition to your home auto maintenance program. Car engines don't last forever, but they live longer and perform better with a little extra care. Treat yours right, and you can look forward to many more miles and years on the road. Today, people have become aware of the need for conservation of our natural resources. However, there is still a need for gasoline, oil and other products to keep society moving. Good running equipment is vital in this process. Established in 1957, we at Nitro 9 Lubricants, DBA Hi-Tech Oil Blends, Inc., became aware of the energy crisis and, as a result, have developed penetrating oils that extend the life of equipment two to three times longer than expected. Our steady customers include oil companies that have purchased our products for many years to keep their equipment running smoothly. Our ZP-1061 is known as "The Final Word" Penetrating Fluid. This penetrating fluid is excellent for use in Automotive Machine Shops, Computers, Firearms, Fishing, Mining Construction, Air Conditioners, Plumbing, Agriculture, Power Generators , Automobiles or any equipment that becomes frozen or rusts. This makes it practical for industry, as well as personal, use. Liquid and light blue in color, this product acts by penetrating the subsurface of the metal and removing rust, varnish or gum. It will also unlock any gears or other equipment that is frozen. It then leaves a residual film that provides a lubricant to protect against further oxidation or rust. Downtime and/or equipment replacement in any business are costly expenses. The cost of labor and parts can add up quickly when machinery is sitting idle. This can be avoided when ZP-1061 Penetrating Fluid is applied to frozen or rusty equipment. We have documented the life expectancy of equipment, which has used our penetrating fluid, from two to three times that of those untreated. Extending the life of industrial equipment is vital in today's energy saving world. When equipment is down there is not only the costs of replacement or repair but the loss of revenue as well as. When repairing a diesel engine can cost as much as $150,000, it makes sense to use every means possible to keep it running as long as possible. Our products have proven to cut replacement costs in half and to save as much as 25.8% in energy costs. In addition to industrial use, ZP-1061 is excellent for civilian use. This is an answer to problems, which often occur in the home. This includes things such as a rusty gun barrel, a frozen fishing reel, rusty HVAC, frozen plumbing, farm equipment that has frozen gears or has rust that needs to be removed. The list is endless. Nitro 9 Lubricants are an excellent solution to the problem. Our company is proud to contribute to the "save energy" fight by producing penetrating oil, which helps extend the life of all types of industry and individual equipment. We are dedicated to slowing the filling of landfills, a problem that continues to harass humankind. How Does Moly Grease Work? Grease can be thought of in terms of paint in that there are a variety of formulations that are used in various applications. You could apply latex paint to the hull of your boat and it would look very nice, however, it would not last very long once your ship went to sea, and vice versa. The paint that you would use for your boat, although quite effective, would not look very good when applied to the walls of your home. Moly grease is a special formulation that is used in situations where metal slides against mental under high pressure and is generally used on pinion gears and splines. This silvery black solid compound, which naturally occurs as the mineral molybdenite, is classified as a metal dichalcogenide. The compound is not affected by oxygen or dilute acids. It looks and feels similar to graphite. Because it is so robust and features low friction properties, it is often used as a solid lubricant. The different types of greases are not interchangeable. For instance, using general-purpose grease on a drive spline can end up in disaster, due to the pressures involved. On the other hand, moly grease would not work well on an axle due to the fact that it is very slick. Several different molecules make up the hexagonal crystal platelets of moly. There is one molybdenum atom and two sulfur atoms in each molecule of moly. What makes moly platelets special is their affinity to metal surfaces. The combination of this affinity, especially when considering how moving parts, when sliding around, can cause the thermochemical reaction that is required for moly to provide its armor-like overlapping coating of protection to engine parts. Moly platelets have the characteristic of being able to slide across engine surfaces quite easily. This allows metal to rub against metal while being protected by the lubricating properties of moly grease. There are microscopic pores on the surface of all engine parts and the thick gooey moly grease fills in these pores nicely, making the surface much more smooth. Nothing works better to provide a good seal on a combustion chamber. Generally speaking, if the service manual calls for moly grease than that is what you need to use. It is recommended for shock loading and bearings that are subject to especially heavy loads such as those that are found in CV joints and universal joints. Conversely, problems can be experienced if this type of grease is ever used in parts such as high-speed bearings.